Monday, June 9, 2014 ratings — New episodes: Beauty and the Beast, Whose Line Is It Anyway?, Mistresses, 48 Hours, American Ninja Warrior, MasterChef, and 24: Live Another Day. Specials: Hilary Clinton: Public and Private. Reruns: The Bachelorette, Mike & Molly, Mom, 2 Broke Girls, Last Comic Standing, and Whose Line Is It Anyway?. We watched Longmire on A&E. And as always it was wonderful. Things may be heating up between Walt and Vic. Would not miss Longmire We are faithful viewers. Does ‘Beauty and the Beast” refer to Diane Sawyer and Hillary Clinton? ha ha. Hate to be a joke-buster, but the Sawyer / Clinton interview aired on ABC and “Beauty and the Beast” is a program that aired on the CW. 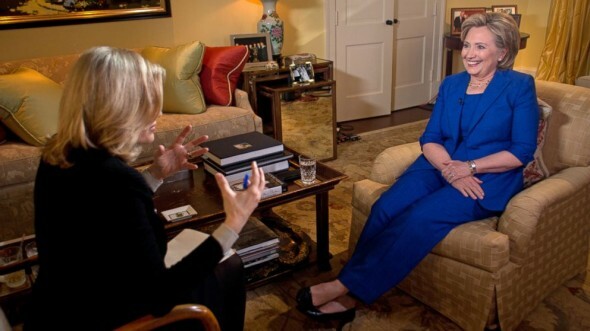 I can’t believe they gave air time to clinton… after her part in the Bengazi killings? How do you think the families of the victims feel her alive & well and joking on tv???? ?